Compact active subwoofer with 12 in. speaker. 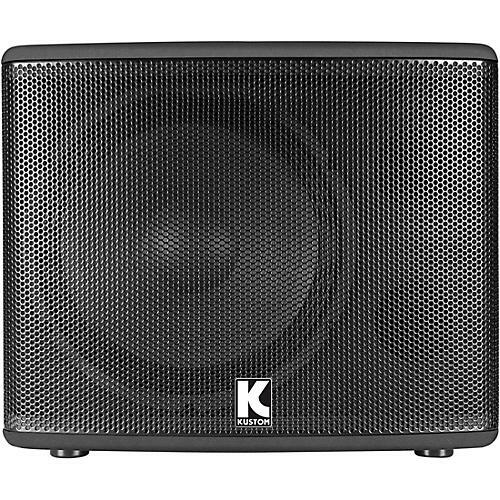 For serious low-end in a compact format, the Kustom PA112-SC powered subwoofer is rated at 400W peak power output with ¼ in. I/O jacks and volume control. The smooth contoured cabinet design looks great on stage and in your rehearsal space or music room. The PA112-SC comes equipped with a heavy-duty 12 in. speaker, internal crossover, ported enclosure tuned for optimum low frequency response, rigid internal bracing, steel grill, steel speaker stand mount and protective corners. Supplement your system with a lightweight, compact subwoofer. Order today.